Check your text messages from Shoppers Drug Mart today! 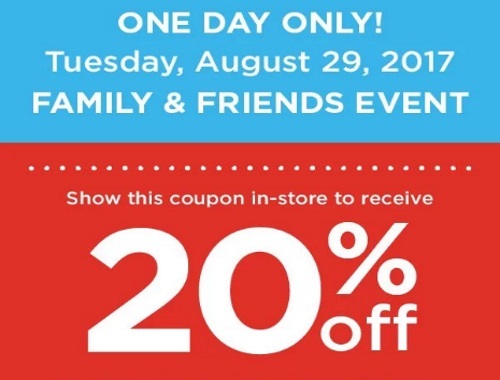 They are having a Friends & Family Event where you can save 20% off in-store! 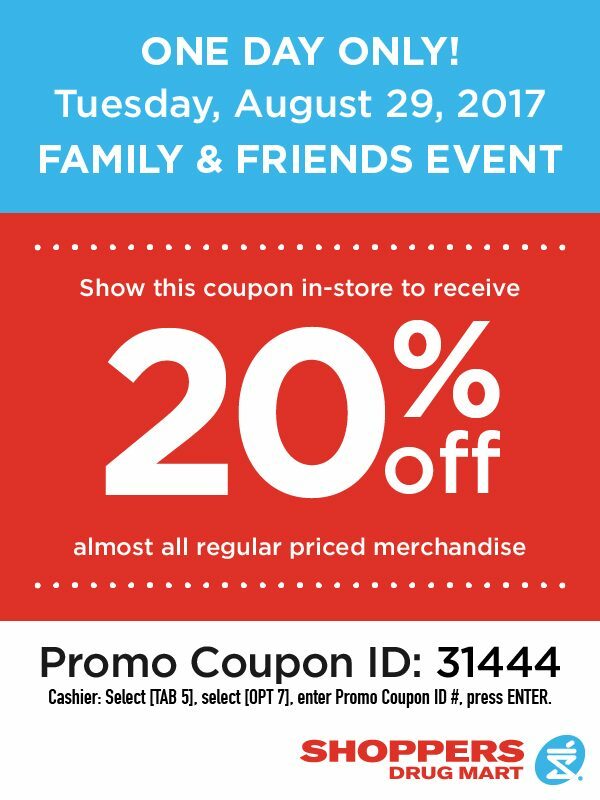 Offer is valid today only, Tuesday, August 29, 2017. Discount excludes sale items, prestige cosmetics, prestige fragrances, prescription purchases, products with codeine, insulin, non-pointable items, tobacco products (where applicable), newspapers, stamps, passport photos, lottery tickets, event tickets, transit tickets and passes, gift cards, prepaid phone cards, milk where discount is prohibited by law and any other items where regulations apply. As mentioned above, this offer is available if you subscribe to Shoppers Drug Mart text messages. I got the coupon in a text message on my phone this morning. We also have a link to the coupon directly from RedFlagDeals (thanks for the link).